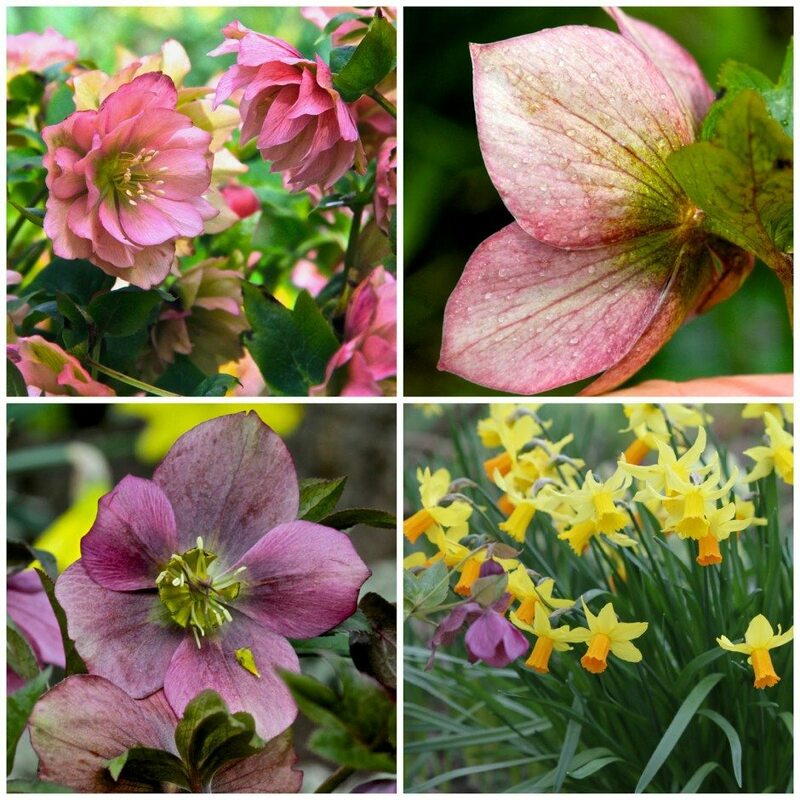 In March the garden is full of daffodils and hellebores. 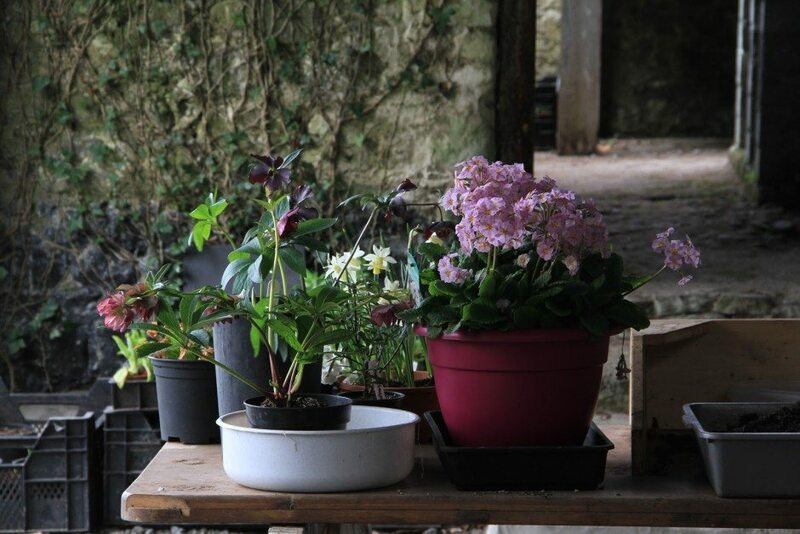 Even the potting shed is beautiful! 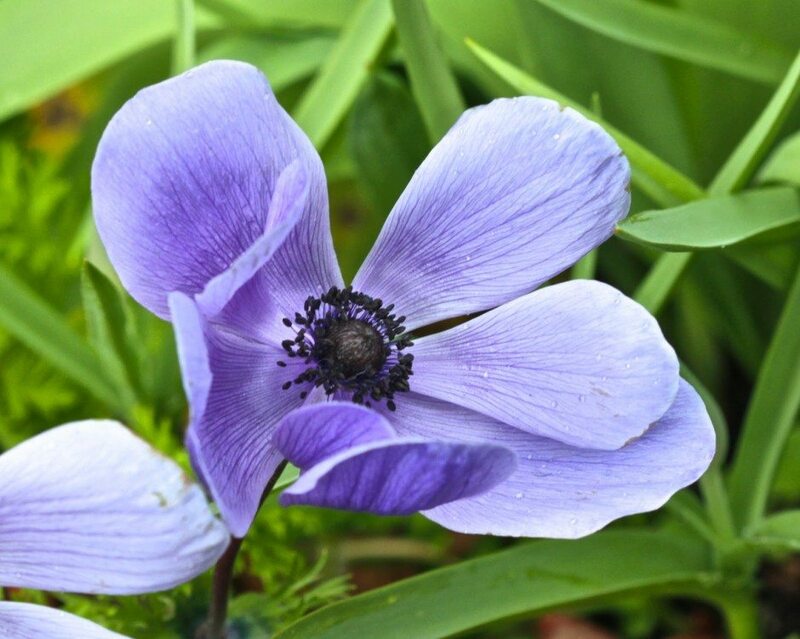 Blue anemones follow me around these days! I’d say for sure there isn’t a square inch of Angela Jupe’s life that isn’t some expression of her inner creative spark. 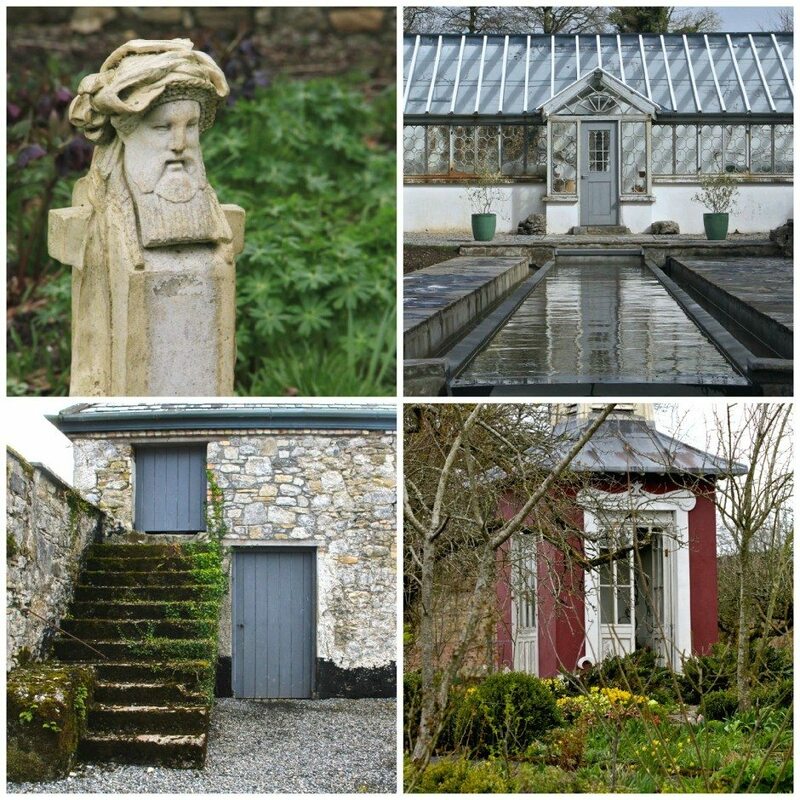 While I could write about her amazing garden and Georgian home at Bellefield in County Offaly, it is the woman herself as an artist whose work I feel deserves the appreciation and recognition here. Now retired, she has illustrated her philosophy through 8 transformative personal projects- and the many other houses and gardens she has renovated and re-designed over her life time. As a landscape designer and architect, she is that rare commodity a female visual artist of the outdoors in Ireland. I had stored up in my rusting memory an article about Angela describing how catmint is a great substitute for lavender in an Irish garden. That was probably 20 years ago, so it was wonderful to chat to her about design, collecting art you love and experiencing first hand one of her projects. While travelling in the Midlands this week on an organised blogger tour I was struck many times by the passion of individuals creating beautiful worlds through collaborating with nature. 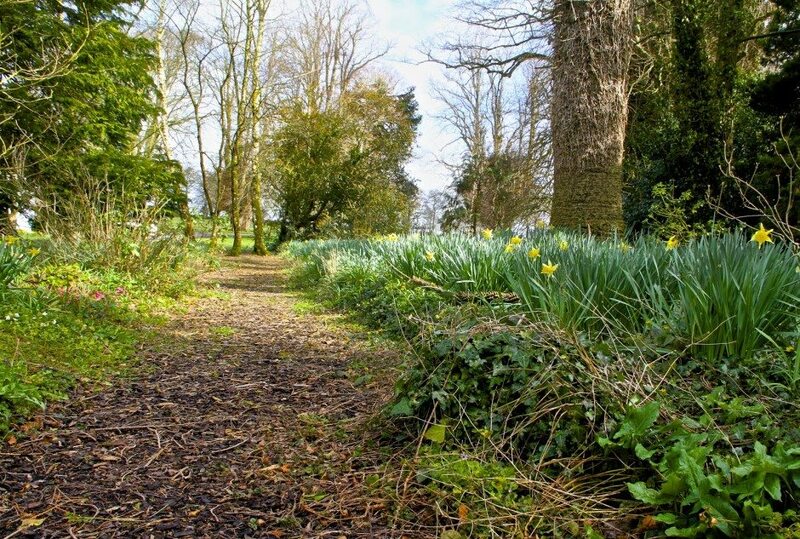 From our blogger organiser Margaret from Oldfarm, passionate about food, the workers at the Birr Theatre lovers of the arts, to the restorers of Fancroft Mill lovers of engineering and history, pure inspiration. The Middle of Ireland has a soft tranquility about it. Off the beaten track, there is space and time here. There are many kinds of travellers and tourists. I’m the kind who tries to avoid crowds, queues, fast food and bikini opportunities. I’m looking for meandering paths, gentle unspoiled landscapes and local specialities-with maybe some of that elusive fairy dust thrown in…. More posts on the Magical Midlands Blogger Tour next week. Also thanks to Mid Ireland Tourism for sponsoring the tour and inviting me to participate. Thank you so much for such a beautiful post…. you've almost reduced me to tears! Such beautiful words and photos. It was wonderful that you could come and join us. Beautiful post!! You have such a great eye! Thanks for taking us along too! Beautiful! What an amazing tour to take! lots of wild beauty here, thanks for sharing. 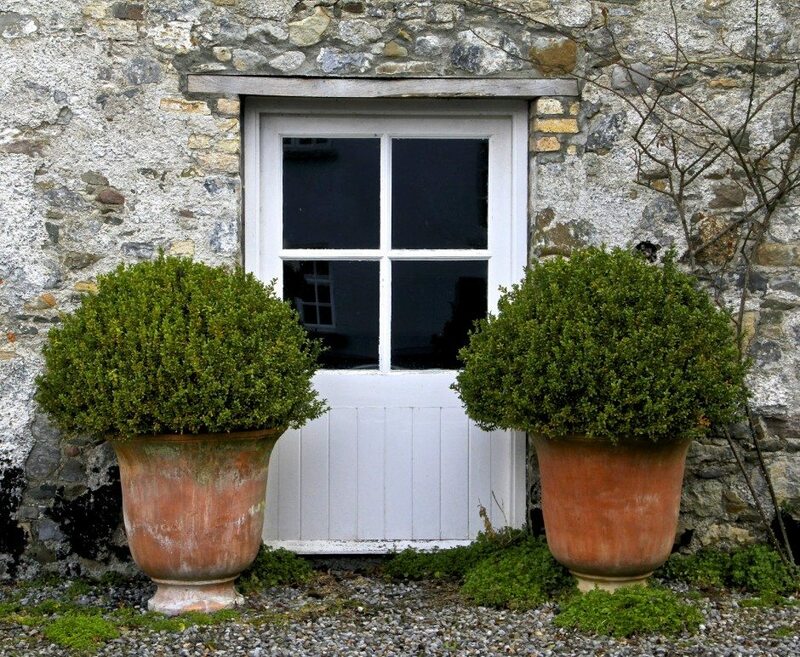 What a beautiful garden – the owner's love for gardening shines through each of these images. So glad you shared this place – a real treasure. Put two artists together and we get to share in the beauty. 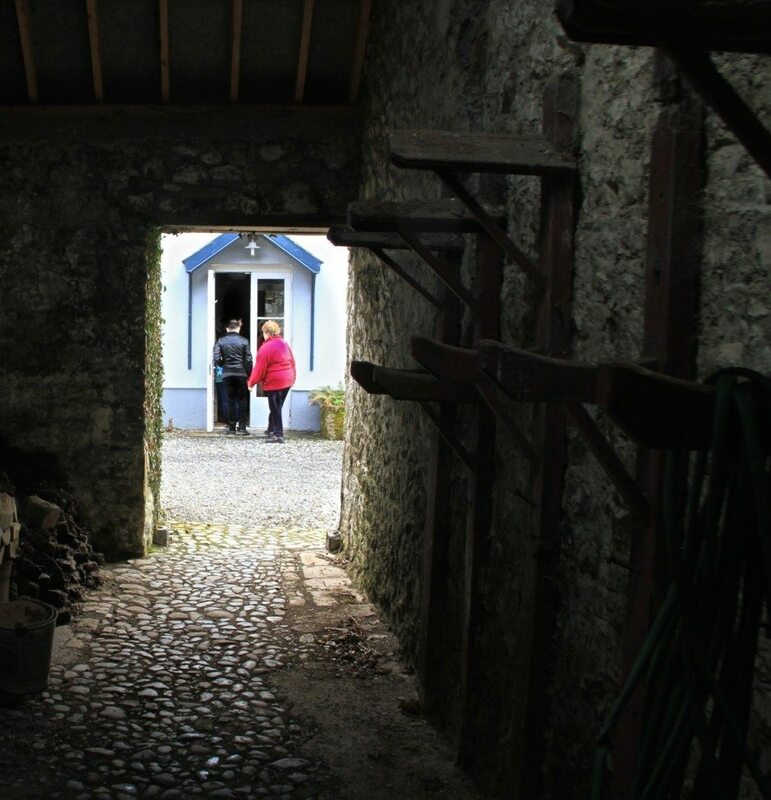 Thank you so much Catherine, wonderful post about an obviously magical place and person. Hi Jane! I'm such a fan! Thank you for visiting with me Greenthumb! Wonderful photos Catherine and a great account of this beautiful place. I love how we all captured the same place slightly differently. 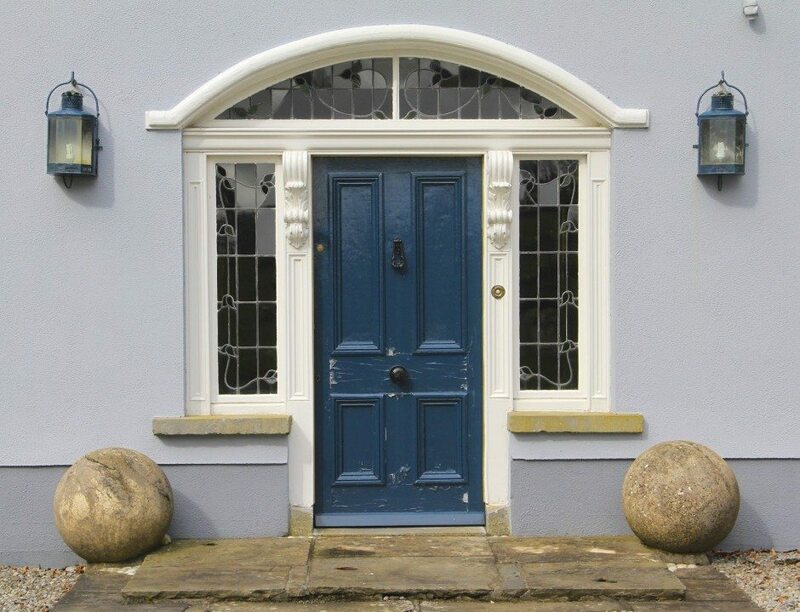 always a little envious of beautiful colours on painted front doors. Now inspired to paint ours garnet red. I did not get to spend much time in the Midlands when I visited 7 years ago…wish I had. A good next trip at some point. Amazing creative gardens and views. Love that greenhouse. Another hidden gem I had never been to before although I read about her so many times. Looking forward to your next trip Donna!